All Dobies working offers are shown below for April 2019. Dobies is known by experienced gardeners across the country. One reviewer on Trustpilot says he’s been dealing with them for 50 years from back when Dobies were in Chester! They are supporters of the National Gardens Scheme in Devon where gardens are opened annually to raise money for good causes such as Macmillan Nurses. Dobies specialises in going direct to the customer so you won’t find their products anywhere else. They even have their own laboratory to check for seed germination and purity. What’s more they have an online vegetable garden planner with some helpful videos. Dobies (not to be confused with Dobbies – garden centres) have lots of promotions featured in the Special Offers section. Note that there is a Delivery Charge of £1.99 for smaller items and £4.99 for larger items. Add your purchase to the basket on Dobies of Devon website and then look for the section labelled Offer Code. Just type in or copy from clipboard your code and then Apply Code. If the offer code has failed there will be a message indicating Invalid Offer Code. Once completed go right ahead and pay. If you are a new customer you will need to register your email address with Dobies. 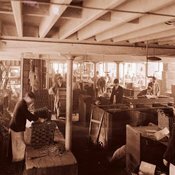 Dobies of Devon was established in 1880. It is a Which? Gardening best seed supplier and is regularly recommended on Gardeners World for its superior quality of vegetable and flower seeds.